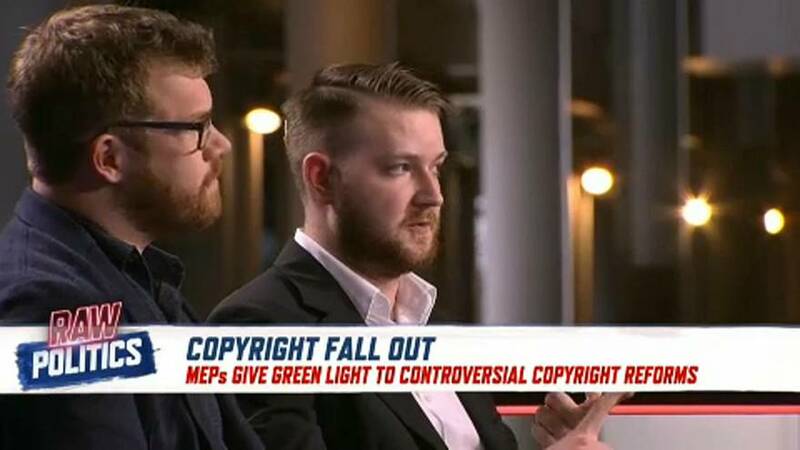 In a highly contentious vote on Tuesday, MEPs narrowly voted to push forward with copyright reforms that will require big tech companies to implement “upload filters” to detect copyright-protected content. Critics are calling it a “dark day for internet freedom”, arguing that the legislation is too broad and puts legitimate content at high risk of being blocked. Dominic Kis, a campaigner for the “Save the Internet” movement, opposes the reform. On Tuesday night’s episode of Raw Politics, he said it doesn’t actually protect content creators. "We do not want any upload filters on the internet because that would definitely endanger the internet,” he said. John Phelan, director general of The International Confederation of Music Publishers, had a different take, saying: “It doesn’t change what copyright is, it changes who must obey existing copyright laws and that is fundamentally important." Phelan went on to say that the divisive filter technology is already in place and the directive would only ensure it is “used more fairly”. Kis disagreed, saying that these filter technologies — which Google has already heavily invested in — "are not foolproof and will never be”. The directive was passed in the European Parliament with 348 MEPs in favour and 274 against. It now awaits approval from EU member states.